Todays outfit for nursery I love!!! 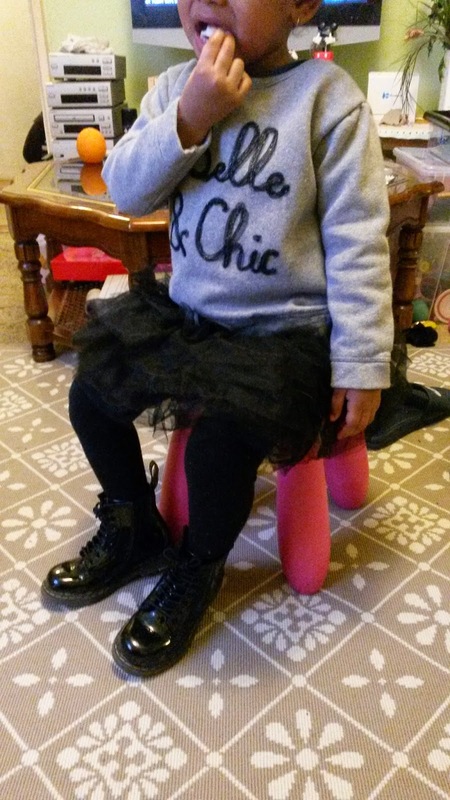 I've teamed up her Zara belle & chic jumper which she got for Christmas with a tutu from Next and for that edgy look good old Dr Martens. Yen loved twirling around showing her friends her skirt. I think she thought she was some sort of Princess lol. A few parents also commented that they love her outfit too!! !